A passion for excellence and a commitment to delivering the best service to its customers is the driving force behind the team at ARC Tiles and Interiors. Here is a business that doesn’t just keep you up with the Joneses; it keeps you streaks ahead of the Joneses! If your desire is to have the ‘wow’ factor on your walls and ceilings, then a visit to the showroom is a must. Digital Wall Tiles are the perfect room enhancer; their aesthetic appeal is undeniable as they are the quintessential of style and elegance. Their less water absorption rate, abrasion resistance, water capacity and ability to work in with various surface design options makes them a very popular choice for wall interiors. They are also easy to keep clean and free from dust due to the protective surface layer – therefore, an ideal tile for kitchens and bathrooms. The arrival of 3D tiles has brought a whole new look to tiled surfaces; they add drama, draw the eye and make walls pop. The patterns of 3D are as beautiful and varied as you could wish for, from cushioned soft dimples and undulating curves to waves or bubbles patterns that bring a sense of movement to an otherwise blank canvas. Whatever accent colour you decide on for your 3D tiles, the gentle interplay of shadows as daylight gives over to dusk will bring its own magic into your surroundings. So, now that you’re aware of the most ultra-chic tiles in town, and where to find them, your next step is to think about where to go and who to ask about getting the prep work done on your walls and ceilings, not to mention the very exciting tiling. Wonderfully, ARC Tiles and Interiors has that sorted, too. They are your one-stop shop, and they’re with you every step of the way. 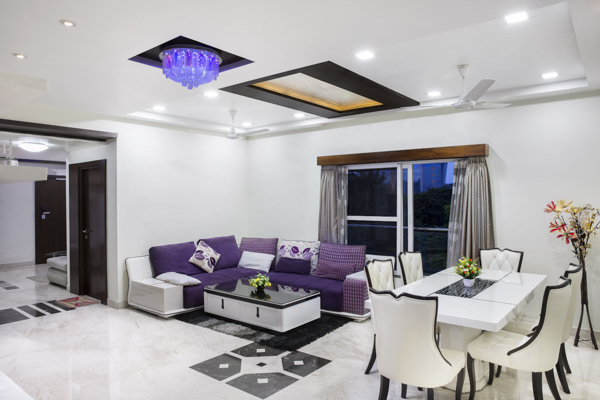 “We take care of all your Gib work, plastering, painting and tiling,” Rajesh says. In fact, Rajesh and the team are so confident in their products and services that should they not have in stock what you had in mind, they will do everything to ensure your vision becomes a reality. 022 6220415, email rajesh@arctilesandinteriors.co.nz or visit www.arctilesandinteriors.co.nz.